There are currently 3,265 users on this website. Block of four, one stamp shows historical and modern mailboxes. Set of two, one stamp depicts a vintage CORREOS mailbox. 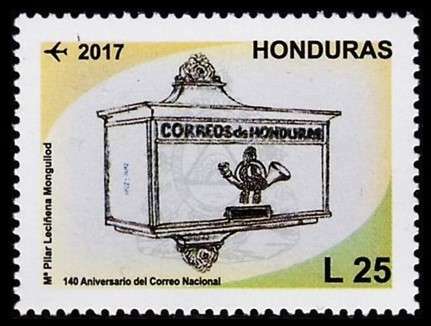 The stamp depicts a wall-mounted mailbox. 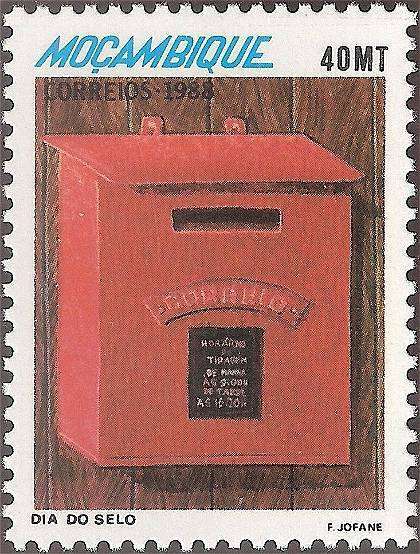 The stamp set depicts a free-standing metal mailbox, a mailbox in brick wall, and a pillar box. 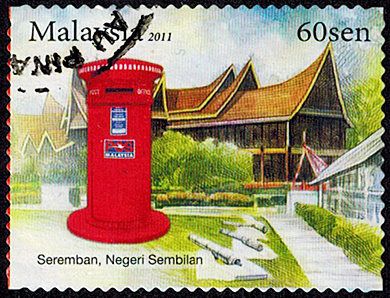 This October 10, 2011 self-adhesive stamp of Malaysia depicts a pillar box in Seremban, Negri Sembilan. It is Stanley Gibbons #1828. A 1R value stamp of the same deign with water-activated gum was issued the same day. 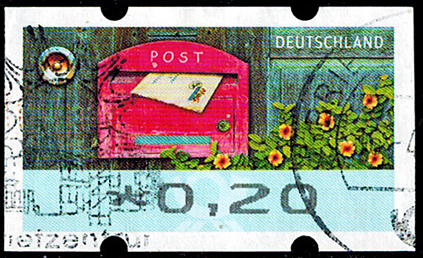 One of the two designs of Germany's 2017 computer-vended stamps features a letterbox. Thailand 1969. 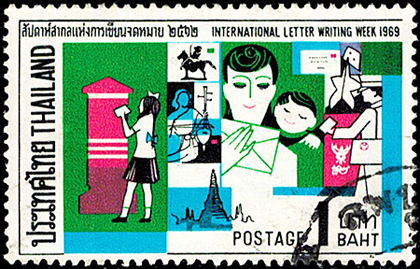 This stamp commemorates International Letter Writing Week and shows several aspects of the letter, including a young girl posting to a pillar box.